Business Modeling and Data Mining demonstrates how real world business problems can be formulated so that data mining can answer them. The concepts and techniques presented in this book are the essential building blocks in understanding what models are and how they can be used practically to reveal hidden assumptions and needs, determine problems, discover data, determine costs, and explore the whole domain of the problem. This book articulately explains how to understand both the strategic and tactical aspects of any business problem, identify where the key leverage points are and determine where quantitative techniques of analysis -- such as data mining -- can yield most benefit. It addresses techniques for discovering how to turn colloquial expression and vague descriptions of a business problem first into qualitative models and then into well-defined quantitative models (using data mining) that can then be used to find a solution. The book completes the process by illustrating how these findings from data mining can be turned into strategic or tactical implementations. · Provides pointers to supplemental online resources, including a downloadable version of the methodology and software tools. Dorian Pyle is Chief Scientist and Founder of PTI (www.pti.com), which develops and markets Powerhouse™ predictive and explanatory analytics software. Dorian has over 20 years experience in artificial intelligence and machine learning techniques which are used in what is known today as “data mining or “predictive analytics. He has applied this knowledge as a consultant with Knowledge Stream Partners, Xchange, Naviant, Thinking Machines, and Data Miners and with various companies directly involved in credit card marketing for banks and with manufacturing companies using industrial automation. In 1976 he was involved in building artificially intelligent machine learning systems utilizing the pioneering technologies that are currently known as neural computing and associative memories. 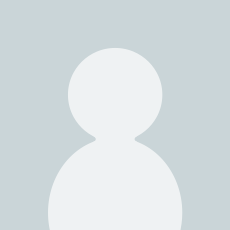 He is current in and familiar with using the most advanced technologies in data mining including: entropic analysis (information theory), chaotic and fractal decomposition, neural technologies, evolution and genetic optimization, algebra evolvers, case-based reasoning, concept induction and other advanced statistical techniques. A must have for any data miner that takes his profession seriously. Already a classic. Business modeling and data mining are carefully separated, as they should be. This crucial distinction has greatly enlightened my view on business problems. First discover the framework for the business problem, determine the leverage point, and then build and refine the best possible model. All steps are described in practical detail, making the book extremely actionable, and tool independent. First, how to determine the appropriate problem to analyze? Then, what are the right data, and how do I get them? Only then does the data mining begin, and a groundbreaking, comprehensive methodology is put forward to come up with the best possible model in every circumstance. The business modeling and data mining methodologies explicate at every possible step in the process - what to do, and how to proceed. In addition, a lot of supporting material provides insight on topics like working with conditional probabilities, regression to the mean, visualizing model performance and errors in problem space, etc. Mr. Pyle's previous book set the mark with regards to data preparation. This book is much broader in its scope and should actually be read before the previous one. It's pretty hefty, but more than worth the read. In my opinion it should also be mandatory for `data savvy' marketers as well, for instance as textbook in contemporary MBA courses. The translation of the business problem into a Data Mining problem is the key for successful data mining projects. Mr Pyle's book deals with this subject in a remarkable way. The book is organized in four parts. The first part provides an introductory material. It shows a broad view of the modelling and mining. This part allowed me to grasp the key concepts, connect them among themselves and have a "map of the territory" as Mr. Pyle says. The second part shows many techniques for dealing with business situations and how to translate them into a data mining problem. Many of these topics were new for me and I was able to learn and apply a lot of these powerful methodology. Part 3 is mainly about the data mining algorithms, different approach to solve data mining problems and how to improve the results. Although I knew about this subject, many topics are discussed in a very interesting point of view. Finally, the part 4 provides a full interactive methodology which summarizes the previous parts. I have found this part very helpful in my work as business modeling consultant. Summarizing, I think that this book is excellent and it would be read by anyone who wants to apply data analysis to the real world. 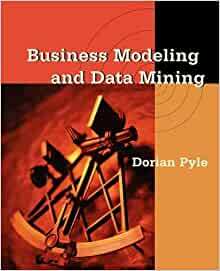 Business Modelling and Data Mining is an extremely clear and didactic work that explains and exemplifies business-oriented data analysis. Its structure goes from general to particular, from theory to practice. It is a work about concepts and its applications. In the so complex, uncertain and fast world of today, those is charge of making decisions in business need to discover which useful information is contained in their data bases to be able to take the necessary measures tending to achieve competitive advantages. This work explains how to be successful in that direction, integrating qualitative and quantitative analysis of concepts. Dr. Pyle's added value is linking data mining to business. The reader with a previous knowledge of data mining will be able to understand its useful application in the world of business. The one already familiar with business will learn about new technologies to improve tactic and strategic decision-making. It is evident from my words that I do not agree with Alphonse LaTuune's vision, who I think has misinterpreted this book's purpose. Whereas detailed explanations on how to work with data mining algorithms are not necessary, it is important to highlight how to add value to decisions in business. The latter is, definitely, Business Intelligence. Whether you want to initiate learning, or deepen your understanding of the subject, do not hesitate to read this book. You will not regret it. I selected Pyle's book, sight unseen, as an introduction for undergraduate students in an information science curriculum. A third the way through the course students are beginning to ask "where's the beef? ", and understandably so. Even a business reader in search of an overview of the topic will likely find this discussion weighted with waffling wordiness. The author devotes page after page to talking about models and mining in a style that is somehow both wordy and imprecise. A reader who is interested in the author's feelings about modeling and mining might find it illuminating; students who are interested in learning how it works and how to _do_ it find it unsatisfying. I recommend the next edition edit the first 300 pages or so down to 30, and devote the word-count more to real life examples, specific mathematical explanations, and practical exercises.